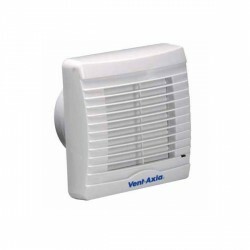 Vent-Axia Basics 100 mm Extractor Fan with Overrun Timer BAS100SLT at UK Electrical Supplies. 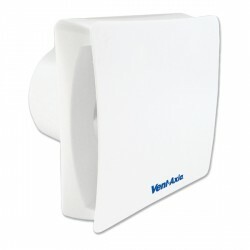 The Vent-Axia Basics 100 mm Extractor Fan offers a simple, but effective solution to bathroom ventilation. This high-quality axial fan features a slim profile of just 15mm, an integral back draught shutter, and a convenient adjustable timer with anywhere from 5-30 minutes of overrun, depending on your ventilation needs. 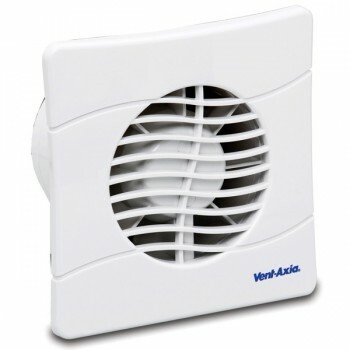 It can be either wall or panel mounting with the correct fixing kit. Click here for more information on this product and the Basics Range.